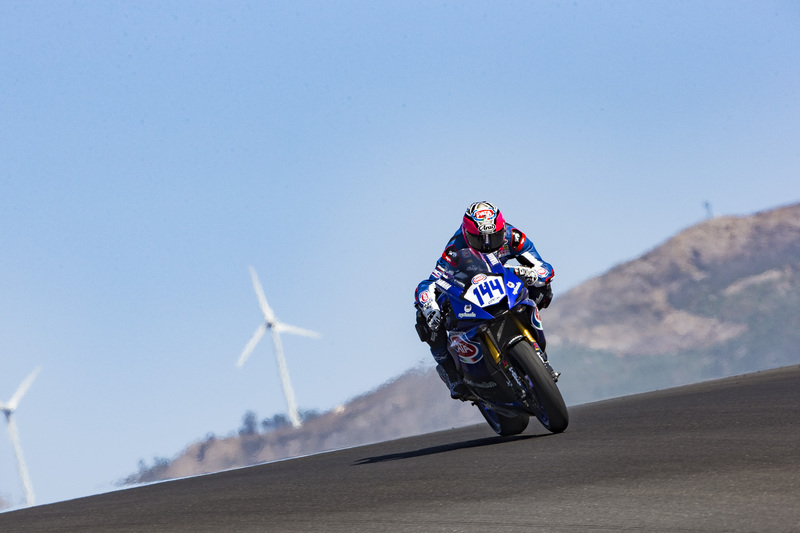 The GRT Yamaha Official WorldSSP Team enjoyed a productive Friday at Portimao for round nine of the 2017 FIM Supersport World Championship. The team focused on race pace with championship leader Lucas Mahias starting strongly to end the day in fourth overall, while his teammate Federico Caricasulo also impressed to finish in sixth on the combined timesheets, with both riders making through to SP2 on Saturday. Mahias leads the championship by one point from Kenan Sofuoglu and he was determined to hit the ground running at the track after the team’s recent test in Portimao. Unfortunately, the conditions on Friday were completely different to the test, with strong winds affecting the track, and it was hard to find a good setup. Undeterred, the 28-year-old French rider worked hard in the morning to set a 1:46.937 to end the session in fourth. In the afternoon, Mahias focused on running a race simulation but still managed to improve his time by almost a second to record a 1:46.087, which was good enough for fourth on the combined timesheets and a spot in SP2. His teammate Caricasulo spent the whole day working on his feeling with the Yamaha YZF-R6 on the harder SC1 compound tyre, not even trying to set a flying lap. This made his performance even more impressive in the morning as a 1:46.934 lap saw him end FP1 in third. He continued this work ethos in the afternoon, running a race simulation and despite not attempting a hot lap the 21-year-old Italian improved to a 1:46.560 to finish the day in sixth overall. It was another good performance from Kallio Racing’s Sheridan Morais as the South African rider topped the combined timesheets for most of the day on his Yamaha R6, before just being pipped in the dying moments of FP2 and finishing in second overall with a 1:45.829 as he looks to continue the form that saw him take his maiden WorldSSP race win last time out at the Lausitzring. His teammate Nikki Tuuli also impressed as he finished in seventh, with all four Yamahas making it through automatically to SP2. The GRT Yamaha Official WorldSSP Team return to the track at 9:45 local time on Saturday morning for Free Practice 3, with SP2 scheduled for 12:25pm. Click here for the full results.